February’s ROCKstar of the Month is Matt Heyl! Since joining the RTH team five years ago, Matt has continued to fine-tune his skills as a DJ and deliver phenomenal entertainment. 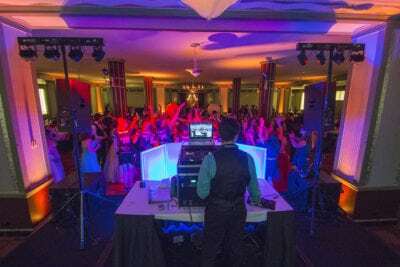 No matter the event, when he’s behind a set of turntables, we know the event is in great hands! 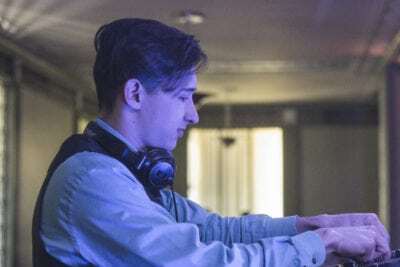 Matt’s interest in entertainment began at a young age when he received his first set of turntables and he hasn’t stopped fueling that passion since! When he’s not spinning tracks at an event, Matt enjoys riding his motorcycle and customizing his sports car. Of the many events that Matt has worked, he shared that his favorite was the Belkin bat mitzvah at the House of Blues. – Nick Duve, General Manager, Entertainment Division. 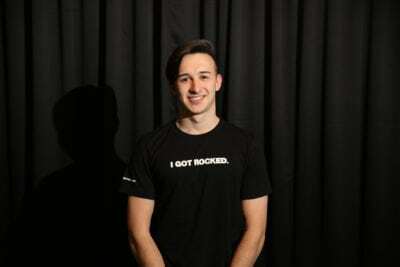 Congratulations to Matt on being February’s ROCKstar of the Month! Interested in working with rockstars like Matt to produce your next event? Contact our team of event professionals today to get started! Photos courtesy of the Rock The House Photo Archive.